Bayfront Park and beach is located at the north end of Anna Maria Island, on the bay side. 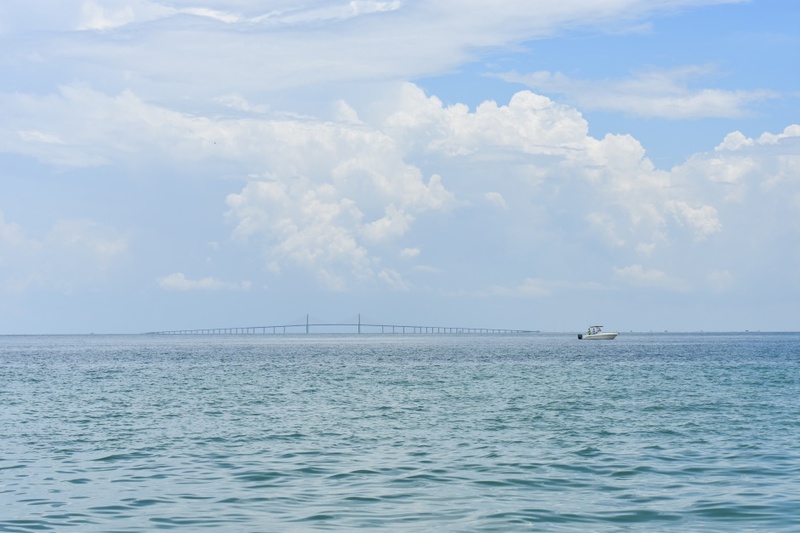 Bayfront Park offers impressive views of Tampa Bay and the famous Sunshine Skyway Bridge. It is one of the more popular Anna Maria Island parks because of its incredible scenery and convenient location. It has outdoor activities for the whole family, is close to Bean Point, the first settlement on Anna Maria Island, and is nearby lots of restaurants, shopping, and historic sites. 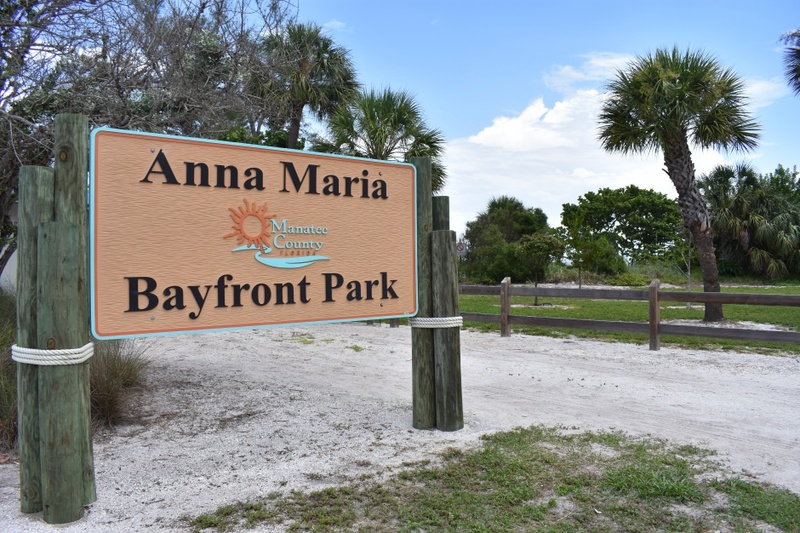 As one of the best Anna Maria Island things to do with kids, Bayfront Park is a great place to enjoy the sun, sand, ocean, and have fun with the family. Bayfront Park offers a multitude of kid-friendly activities that will keep the younger travelers busy all day. Families can swim in the park’s quiet waters, build sandcastles, and catch some rays on the sandy beach. Rent kayaks or paddle boards, and launch them in the park’s clear, blue waters and try and spot marine life while you paddle. Occasionally, you can even surf some small waves at Bayfront Park when the swell comes in. Bayfront Park is a known fishing spot, and is particularly good for younger anglers. Florida waters are full of tasty catches, and Bayfront is no exception. Drop in your line, sit back, and wait for a tug. Your catch of the day can be grilled right there at the park for the whole family to enjoy. The park’s grassy area is great for picnicking and reading a book. Kids can play while parents enjoy some much-needed downtime. Large trees and a picnic pavilion provide shade when you need time out of the sun. The park’s new, accessible playground is the perfect place to kids to blow off some steam while on vacation. Full of kid-friendly activities, this park features slides, swings, fireman poles, and ramps. 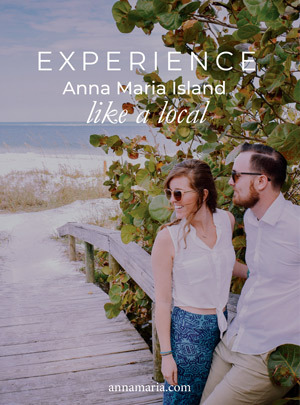 While you’re at Bayfront, visit the historic Anna Maria City Pier, just a few minutes’ walk south of the park. Head down the pier to watch birds catch their dinner, fish, or see the sunset. The pier has benches along the way for your comfort. This 100-year-old pier was built in the early 1900s to receive passengers from steamboats crossing Tampa Bay. If you didn’t bring a picnic lunch, walk down Pine Avenue to grab a bite to eat. Here you’ll find many restaurants – dine-in and take-out – as well as fun souvenir shops and beach equipment rentals. When the sun begins to set, walk up to Bean Point for panoramic views from the island’s northernmost extremity. It was here the first homestead was built on the island. 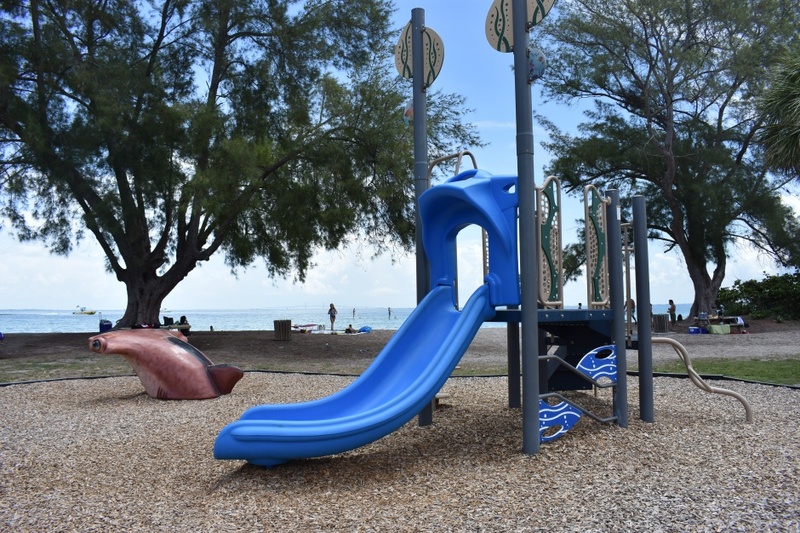 Bayfront Park has all the amenities you and your family might need for a great day at the beach. The park has grills, pavilions, benches, and garbage and recycling disposal, for all your picnicking needs. For swimmers, outdoor showers are available. Restrooms and water fountains can also be found in the complex. Bayfront Park offers free parking from open to close – but be sure to get there early on weekends, especially during high season, as the parking lot can get full. Many people heading to restaurants and other attractions park their cars at Anna Maria Island parks to avoid the hassle of street parking. Bayfront is one of the biggest Anna Maria Island parks – you can’t miss it. From the mainland, take Manatee Avenue across to Anna Maria Island, and take Gulf Drive north to Pine Avenue. Take Pine across until you hit Bay Boulevard, which you take north until you reach Bayfront Park. The park is located at 315 N. Bay Blvd., Anna Maria, FL, and is open from 6 a.m. to midnight.